Telefunken DD4 Dynamic DRUM Mic PackThe TELEFUNKEN DD4 is a 4 piece dynamic microphone package design for drums in the studio and on the stage. Microphones include the M82 handling kick drum duties, the M80-SHB on snare, and the M81-SH for toms.TELEF..
Telefunken DD5 Dynamic DRUM Mic PackThe TELEFUNKEN DD5 is a 5 piece dynamic microphone package design for drums in the studio and on the stage. Microphones include the M82 handling kick drum duties, the M80-SHB on snare, and the M81-SH for toms.TELEF..
Telefunken Diamond Series U47Upon first glance of the new U47 from TELEFUNKEN Elektroakustik, it's easy to see the "family resemblance." The large, chrome head grille houses a newly manufactured M7 capsule. Its matte nickel finished body houses a new..
Telefunken Diamond Series U4810 years after the development of the ubiquitous U47, the U48 was released with one variation to the U47; it had "bidirectional" (figure 8) capability. The bidirectional capability can be very useful in more "ambient" rec..
Telefunken Diamond U47 STEREO SETTELEFUNKEN Elektroakustik is proud to offer matched stereo sets of the U47 microphones. Each system features a custom dual power supply capable of powering both microphones at one time, and a special locking flight ca..
Telefunken Diamond U47/48 STUDIO SETTELEFUNKEN Elektroakustik is proud to offer the U47/U48 STUDIO set of microphones. Each system includes a U47 and U48 microphones matched in frequency response. The package features a custom dual power supply capab..
Telefunken Diamond U48 STEREO SETELEFUNKEN Elektroakustik is proud to offer matched stereo sets of the U48 microphones. Each system features a custom dual power supply capable of powering both microphones at one time, and a special locking flight cas..
Telefunken ELA M 260 FIELD SETThe ELA M 260 Field Recording Set was designed for the concert taper and on-location field recording enthusiast. The system was developed based around a rechargeable battery solution capable of powering the high voltages..
Telefunken ELA M 260 STEREO SETThe small diaphragm ELA M 260 has become a staple for use in a multitude of recording applications due to its natural presence and high level of detail and clarity, especially in acoustic and classical applications. Kee..
Telefunken ELA M 260 TRI-MONOIf you work in film scoring or classical recording, then you should know what a Decca Tree is. If you don't work in those disciplines, here is a brief synopsis of the Decca Tree [or "Tri-Mono"] recording technique.Enginee..
Telefunken ELA M 260 Tube Series ELA M 260The small diaphragm ELA M 260 is arguably one of the industry's finest acoustic and classical recording tube microphones, offering plenty of tone with excellent detail and clarity. The ELA M 260 system featur..
M60 FET CardioidIdeal for acoustic and percussive instruments, featuring one M60 FET amplifier paired with a TK60 cardioid polar pattern capsule. With over a year and half of development and beta testing with top recording engineers, the newly d..
M60 FET Cardioid STEREO SETA matched set of M60 FET amplifiers paired with two TK60 cardioid polar pattern capsules, ideal for stereo recording applications.With over a year and half of development and beta testing with top recording engineers, the n..
M60 FET MASTER STEREO SETA matched set of M60 FET microphones with interchangeable TK60 Cardioid, TK61 Omni-Directional and TK62 Hyper-Cardioid capsules With over a year and half of development and beta testing with top recording engineers, the ..
M60 FET MASTER SETFeaturing unique proprietary FET circuit topology with interchangeable TK60 cardioid, TK61 omni-directional and TK62 hyper-cardioid capsules.With over a year and half of development and beta testing with top recording engineers, the..
M61 FET Omni-DirectionalIdeal for room and ambience recording, and includes one M60 FET amplifier paired with a TK61 omni-directional polar pattern capsule. With over a year and half of development and beta testing with top recording engineers, ..
M61 FET Omni-Directional STEREO SETA matched set of M60 FET amplifiers paired with two TK61 omni-directional polar pattern capsules, Ideal for room and ambience recording. With over a year and half of development and beta testing with top record..
M62 FET Hyper-CardioidExcellent for use on cymbals and percussion, featuring one M60 FET amplifier paired with a TK62 hyper-cardioid polar pattern capsule.With over a year and half of development and beta testing with top recording engineers, the new..
M62 FET Hyper-Cardioid STEREO SETA matched set of M60 FET amplifiers paired with two TK62 hyper-cardioid polar pattern capsules, ideal for stereo live and field recording. With over a year and half of development and beta testing with top record..
M80 BLACKTELEFUNKEN M80 BLACKTELEFUNKEN Elektroakustik has created the M80 to give the user a superior alternative to the midrange-laden character of the "industry standard dynamic microphone." Featuring a wider frequency response and higher SPL..
M80 BLUETELEFUNKEN Elektroakustik CUSTOM SHOP Microphone :: M80 BLUE Please note that all CUSTOM SHOP microphones are built to order. Please allow an estimated 4 to 6 weeks for production and delivery.TELEFUNKEN Elektroakustik has created the M8..
M80 CHERRYTELEFUNKEN Elektroakustik has created the M80 to give the user a superior alternative to the midrange-laden character of the "industry standard dynamic microphone." Featuring a wider frequency response and higher SPL capabilities, the ..
M80 CHROMETELEFUNKEN Elektroakustik has created the M80 to give the user a superior alternative to the midrange-laden character of the "industry standard dynamic microphone." Featuring a wider frequency response and higher SPL capabilities, the ..
M80 GOLDTELEFUNKEN Elektroakustik has created the M80 to give the user a superior alternative to the midrange-laden character of the "industry standard dynamic microphone." Featuring a wider frequency response and higher SPL capabilities, the M8..
M80 GREENTELEFUNKEN Elektroakustik CUSTOM SHOP Microphone :: M80 GREEN Please note that all CUSTOM SHOP microphones are built to order. Please allow an estimated 4 to 6 weeks for production and delivery.TELEFUNKEN Elektroakustik has created the ..
M80 OAKTELEFUNKEN M80 DYNAMICTELEFUNKEN Elektroakustik has created the M80 to give the user a superior alternative to the midrange-laden character of the "industry standard dynamic microphone." Featuring a wider frequency response and higher SPL..
M80 ORANGETELEFUNKEN Elektroakustik CUSTOM SHOP Microphone :: M80 ORANGE Please note that all CUSTOM SHOP microphones are built to order. Please allow an estimated 4 to 6 weeks for production and delivery.TELEFUNKEN Elektroakustik has created th..
M80 PINKTELEFUNKEN Elektroakustik CUSTOM SHOP Microphone :: M80 PINK Please note that all CUSTOM SHOP microphones are built to order. Please allow an estimated 4 to 6 weeks for production and delivery.TELEFUNKEN Elektroakustik has created the M8..
M80 PURPLETELEFUNKEN Elektroakustik CUSTOM SHOP Microphone :: M80 PURPLE Please note that all CUSTOM SHOP microphones are built to order. 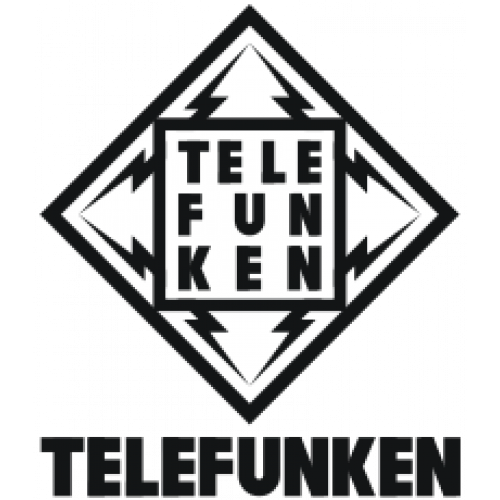 Please allow an estimated 4 to 6 weeks for production and delivery.TELEFUNKEN Elektroakustik has created th..
M80 REDTELEFUNKEN Elektroakustik CUSTOM SHOP Microphone :: M80 RED Please note that all CUSTOM SHOP microphones are built to order. Please allow an estimated 4 to 6 weeks for production and delivery.TELEFUNKEN Elektroakustik has created the M80 ..
M80 DYNAMICTELEFUNKEN M80 DYNAMICTELEFUNKEN Elektroakustik has created the M80 to give the user a superior alternative to the midrange-laden character of the "industry standard dynamic microphone." Featuring a wider frequency response and higher..
M80 WHITETELEFUNKEN Elektroakustik CUSTOM SHOP Microphone :: M80 WHITE Please note that all CUSTOM SHOP microphones are built to order. Please allow an estimated 4 to 6 weeks for production and delivery.TELEFUNKEN Elektroakustik has created the ..
M80 YELLOWTELEFUNKEN Elektroakustik CUSTOM SHOP Microphone :: M80 YELLOW with GOLD head grill Please note that all CUSTOM SHOP microphones are built to order. Please allow an estimated 4 to 6 weeks for production and delivery.TELEFUNKEN Elektroa..
M80-SHTELEFUNKEN M80-SHTELEFUNKEN Elektroakustik has created the M80-SH for use on snare drum and vocal applications where a lower profile microphone with right angle XLR cable is needed. The wide frequency response and higher SPL capabilities offer ..
M80-SHBTELEFUNKEN M80-SHB (Black)TELEFUNKEN Elektroakustik has created the M80-SHB for use on snare drum and vocal applications where a lower profile microphone with right angle XLR cable is needed. The wide frequency response and higher SPL capabili..
M80-WH Wireless CapsuleTELEFUNKEN M80-WH Wireless CapsuleThis is an entire M80 Dynamic (capsule, head grill, output transformer), neatly packed in a much shorter body with the screw on terminal connections. The M80-WH, M80-WHB and M81-WH are des..
M80-WHB (BLACK)TELEFUNKEN M80-WHB (Black)This is an entire M80 Dynamic (capsule, head grill, output transformer), neatly packed in a much shorter body with the screw on terminal connections. The M80-WH, M80-WHB and M81-WH are designed to mate wi..
M81 REGGAETELEFUNKEN Elektroakustik CUSTOM SHOP Microphone :: M81 REGGAE Please note that all CUSTOM SHOP microphones are built to order. Please allow an estimated 2 to 3 weeks for production and delivery.The TELEFUNKEN M81 Reggae, featuring a 3..
M81 UNIVERSAL DYNAMICTELEFUNKEN M81 UNIVERSAL DYNAMICThe M81 builds off of the same features of the M80 that have made it so popular; minimal proximity effect, superior feedback rejection, and an articulate mid-range. However, with the M81 the top en..
M81-SHTELEFUNKEN M81-SHThe M81-SH was designed with the goal to develop a mic that would not only complement the M80-SH, but to also stand out in a universe filled with dynamic microphone options. Building off many of the strengths of the M80, the TE..
M81-WH Wireless CapsuleTELEFUNKEN M81-WH Wireless CapsuleThis is an entire M81 Universal Dynamic (capsule, head grill, output transformer), neatly packed in a much shorter body with the screw on terminal connections. The M80-WH, M80-WHB and M81-..
M82 BroadcastTELEFUNKEN M82 BROADCAST PACKAGEThe TELEFUNKEN Elektroakustik M82 is a new, large diaphragm dynamic microphone that borrows its look from the classic U47's body and headgrille shape. Hand-assembled in CT, USA, the M82 is a robust, end-ad..
M82 KICK DYNAMICTELEFUNKEN M82 KICK DYNAMICThe TELEFUNKEN Elektroakustik M82 is a new, large diaphragm dynamic microphone that borrows its look from the classic U47's body and headgrille shape. Hand-assembled in CT, USA, the M82 is a robust, end-addr..
Telefunken R-F-T AK-47mkII STEREO SETTELEFUNKEN AK-47mkII STEREO SETThe R-F-T AK-47 MkII began as a unique design to incorporate key elements of classic circuits such as the U47 and M49. These design decisions created a microphone with a wonderfully ..
Telefunken R-F-T AR-51 STEREO SETThe R-F-T AR-51 was designed to incorporate the amplifier circuit of the C12 and ELA M 251E into a more affordable package than it's Diamond Series counterparts. This circuitry has been a favorite for hi-fidelity ster..
Telefunken R-F-T CU-29 STEREO SETSince its introduction, the R-F-T CU-29 "Copperhead" has proven itself equally useful on vocals, acoustic instruments, guitar amps, drums, and anything in between. With a wide array of sources it shines on, TELEFUNKEN..
Telefunken R-F-T Series AK-47mkIIThe R-F-T AK-47 MkII is a remarkably hi-fidelity microphone that is reminiscent of a cross between the historic M49 and U47 / U48 microphones. The result is a microphone with superior high frequency detail and a rich,..
Telefunken R-F-T Series AR-51The R-F-T AR-51 is a high quality tube condenser that draws inspiration from the classic C12 and ELA M 251E microphones. It provides a smooth mid-range, open top end, and solid, well-balanced low frequency translation.&nb..
Telefunken R-F-T Series AR-70 STEREOThe R-F-T AR-70 STEREO is an advanced stereo version of the popular AR-51 tube condenser microphone. The AR-70 STEREO is an advanced stereo version of the popular AR-51 tube condenser microphone. It features a..
Telefunken R-T-F Series CU-29The R-F-T CU-29 'Copperhead' offers a warm, well-rounded low end accented by a delicate and intimate air in the high end. The clarity and detail are unsurpassed by any other microphones near its surprisingly low price ran..